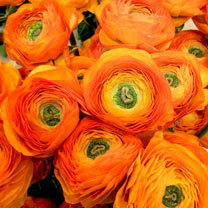 Ranunculus are all about rich colours and fascinating textures, and they’re a vibrant choice for borders. 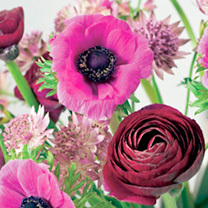 They may be an old favourite, but they never go out of fashion, and they always manage to stand out in spring displays. 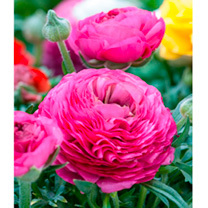 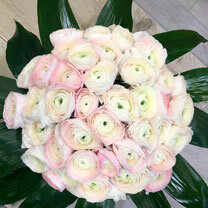 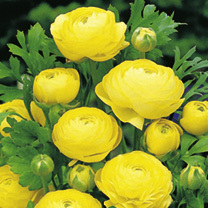 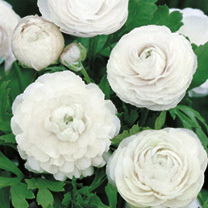 Our Ranunculus bulbs include a stunning selection of varieties, whose vibrant blooms are composed of masses of petals. 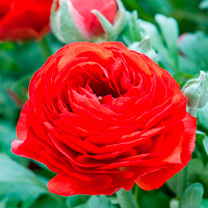 These clump-forming plants perform well in the garden but make excellent cut flowers too! 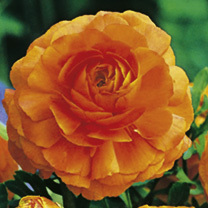 For real impact, our Mirabelle Vert Mix is a striking double variety in a range of vivid colours, all with unusual emerald green centres. 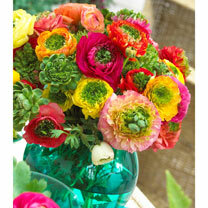 Whether in the garden or as cut flowers, these colourful blooms are captivating. 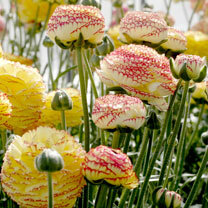 You’ll also find yellow, violet, red, pink, white and orange varieties, so you can pick out your favourite shades and start planning those borders.